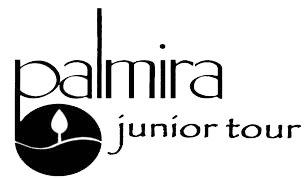 The Palmira Junior Tour is a series of individual stroke play events comprised of junior golfers seeking a competitive and developmental environment. The Tour is open to boys and girls who are entering 8th Grade and Freshman year of college and anyone in between. (Tee Times Start at 8:00 A.M. Tees times will be e-mailed the day before the event. Each division will have a Player of the Year based on points accumulated from the 7 events. Each Player of the Year will receive an award. Each of the top three players in the Championship will receive awards. Scores and points will be e-mailed to you each week.